(VEN) - The National Quality Award, awarded last month to 77 Vietnamese enterprises, recognizes businesses with outstanding performance in boosting the quality and competitiveness of their products and services. The 2017 National Quality Award and International Asia Pacific Quality Award (IAPQA) were presented at a ceremony in Hanoi on April 22. Among the winners, 15 received the National Quality Gold Awards, including Binh Minh Plastic JSC, Binh Dinh Pharmaceutical and Medical Equipment JSC, and Fico Tay Ninh Cement JSC, while 58 took the silver awards. 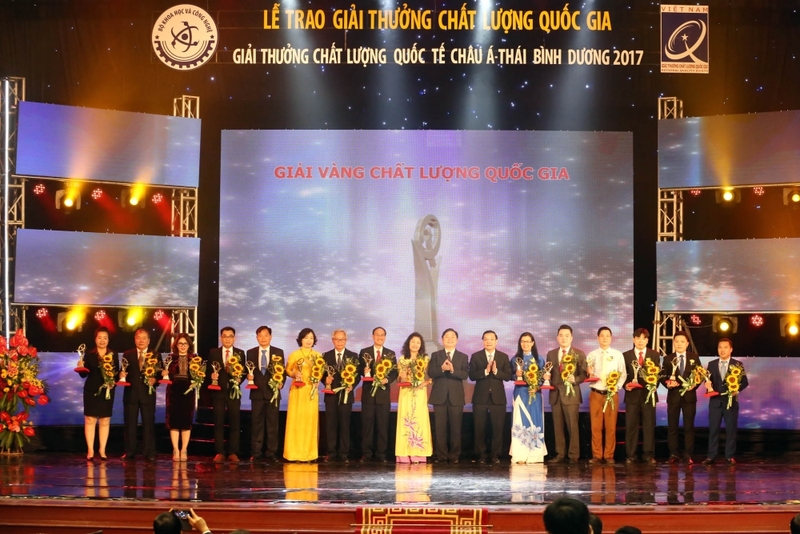 The four IAPQA winners of the year were Ton Dong A Corporation, Khanh Hoa Salangane Nests Company, Viet Duc Steel Company, and Long Hau Corporation. 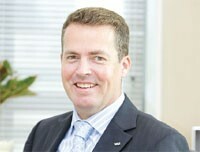 By 2017, 1,842 enterprises had won the National Quality Award and 44 others obtained the IAPQA. The National Quality Award is the only one of its kind approved by the prime minister in order to honor businesses with outstanding performance in boosting the quality and competitiveness of their products and services. It is included in the Global Performance Excellence Award (GPEA) system by the Asia-Pacific Quality Organization (APQO). The Ministry of Science and Technology is assigned by the Vietnamese government to coordinate with the concerned departments and agencies to announce the award. The goal of the National Quality Award is to encourage Vietnamese businesses to develop and apply management systems, models and tools in order to improve productivity and quality, thereby enhancing competitiveness and positively contributing to the country’s socioeconomic development. This award is strictly evaluated with the participation of most state management agencies and representatives of relevant organizations. Minister of Science and Technology Chu Ngoc Anh acknowledged the role and importance of the award at the 2017 National Quality Award ceremony. He said businesses winning the award are the units that have built a culture of quality in their operation; successfully applied management systems and tools; achieved excellent trade and production results; and made positive contributions to the country’s socioeconomic development. The Vietnamese government will build mechanisms, policies and programs on quality and productivity, technology transfer, and intelligent assets development to promote business competitiveness, he added. Tran Van Vinh, general director of the Directorate for Standards, Metrology and Quality of Vietnam, said businesses are judged on seven criteria of leadership, strategic planning, customer service, and knowledge in addition to measurement, analysis and management, workforce focus, and process management and results. Nguyen Duy Minh, deputy general director of the Tan A Dai Thanh Corporation, said the National Quality Award has confirmed the corporation’s efforts to improve product quality, services and competitiveness. In recent years, the corporation has successfully applied advanced management models, tools and systems, such as ISO 9001:2008 Quality Management System, ERP-Bravo and ATO. In addition, the corporation has promoted investment in modern equipment and machinery, and closed production lines imported from Europe. Through the National Quality Award, the corporation’s position has been improved, creating a motivation to deepen integration into regional and global markets. Nguyen Trong Dac, deputy general director of the Vietnam Germany Steel Pipe Joint Stock Company, said the National Quality Award assesses business excellence and achievements in innovating, improving quality and contributing to the country’s productivity and quality movement. With strict criteria, the award contributes to improving the position of domestic products and services, as well as encourages businesses to raise their capacity, competitiveness and integration in both domestic and international markets. Nguyen Trong Dac also said that in the evaluation process, experts assess the shortcomings of businesses and thus, participating in the award process helps businesses improve their performance. The National Quality Award is intended for large and small- and medium-sized enterprises in the fields of production and service. The evaluation and selections are conducted at the central and local level.